Rather than dignify recent foolish comments made by media presenters about Pacific nations, I would like to address an issue to do with Pacific people made a little earlier this month. The World Bank has suggested that the shortage of aged care workers looming here and in Australia could be solved by welcoming young employees from Pacific countries. The Bank’s reasoning seems to be that New Zealand has too many older people and Pacific nations have too many young people – so it’s a marriage made in Heaven. But what may seem so simple a solution on paper to the World Bank, and to others who have echoed such calls in the media, may not be any real solution in the long run. In New Zealand, aged care workers often have poor wages and conditions so the workforce is mostly made up of skilled migrants who are willing to work for lower pay in their struggle to get by. They do have some training and skills and they are dedicated and hard-working. There’s no doubt they do an incredible job despite poor conditions, and that may well be because many are from cultures that especially respect and care for the elderly. But the reality is we need more registered and enrolled nurses as well as the best skilled but less-qualified aged care workers. In other words, we need to take a ‘whole workforce’ approach rather than an ill-informed ethnic-centred approach. The World Bank’s short-sighted suggestion will do nothing to improve workforce development and staffing polices in aged care for the future because it is not ‘whole workforce’. It’s also insulting and patronising to Pacific young people. 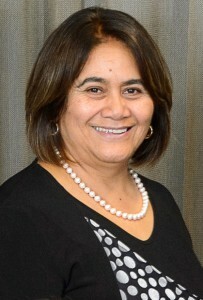 As a Tongan woman, Tongan nurse, mother, auntie, sister and grandmother – and as a New Zealand-based advocate for Pacific people – I am prompted to ask, is accepting a poorly paid job that very few want to do all we think our young people are good for? Instead we should be welcoming Pacific young people – alongside young Māori and any young person wanting a challenging and rewarding career – into the nursing profession through training and appropriate qualifications. At the same time we should be increasing pay rates and improving working conditions to make aged care work more attractive to all. This would stop many qualified and experienced people leaving the sector to work where pay and conditions are better. It would also mean the aged care workers left behind to take up the slack get the sort of remuneration and working conditions they deserve. That’s a solution that will afford dignity to young Pacific migrants, to aged care workers generally, and to the elderly themselves. It may also help ensure that those of us approaching old age are cared for with the respect and professionalism we deserve when our time in aged care comes along. Let’s get real, aged care deserves more investment in workforce development and safe staffing, and Pacific aged care workers deserve better respect from the commentators on the World Bank’s report. Note: Due to time constraints, CE Memo Musa gave an abridged version of this speech at the AGM, agreeing to release the full speech online later. I am Memo Musa, Chief Executive of NZNO Tōpūtanga Tapuhi Kai Tiaki O Aotearoa, and it is my pleasure to welcome you all here once more to NZNO’s 25th AGM, and to the conference tomorrow if you will also be attending there. As usual I would like to acknowledge the Board, Te Poari and the Membership Committee. I would like to thank our exhibitors and sponsors for both the AGM today and the conference tomorrow, and especially UnionPlus, our major sponsor. The theme of tomorrow’s conference is ‘Health is a human right – optimising nursing to make it happen’, and I want to talk about the past financial year with that in mind because that theme encapsulates the very reason we exist as an organisation. We are here to support nurses, midwives, students, nurses and care workers as they advocate for wellbeing and access to healthcare as a fundamental human right of the people they work with. In my opinion there is no other profession that connects with people at their most vulnerable time the way nursing does. But I want to take this thinking a step further just for today by saying that health is a human right for nurses too – and professional wellbeing is part of that. For your wellbeing you have the right to be equipped to provide excellent care. You have the right to be educated and skilled. You have the right to have a healthy workplace with empowering policies and where working conditions and staffing levels are safe. And, perhaps most essential to your wellbeing, you have the right to be recognised for what you do – to be valued and fairly paid. I can’t think of a better way to expand on the conference theme on the role of NZNO than what I have just said. You are there to stand up for the people in your communities. We are here to stand up for you. I will come back to this as I cover some of the important developments and achievements of the year, which was an extremely complex one. It was an election year, and the year we started bargaining. But if you look at the submissions we wrote; the campaigns we ran; the publications we produced; the media attention we generated; and the bargaining we conducted – the work outputs and the achievements have been truly phenomenal. And we have also bucked the trend in that we are the only union in New Zealand to have grown its membership. We can be very proud of the successes which will help ensure that nurses and their rights to health and wellbeing are upheld, respected and supported. And we have the right to celebrate our successes. Last year in my AGM report I said we do not celebrate enough of our successes, and that we are highly critical of our shortcomings to the point that it overshadows the good things – and the progress we are making. I would like to restate that it is vital that as an organisation for nurses we celebrate the successes and the work we have done together and collectively. To build power we must act in SOLIDARITY, because doing so will further build the power of the profession and NZNO. So what have we done? I will cherry-pick a few highlights from the annual report, which you can all read at your leisure. That means there will be a lot of things I don’t mention and that should not be seen as diminishing their importance in any way. If we look at the strategic objective of improved health outcomes, a highlight would have to be the official launching of the NZNO Strategy for nursing in March. This is just one of seven major publications we produced this year. Others included a report on our 2017 Nation Student Nurse Survey and a national Diabetes Nursing Knowledge and Skills Framework. We also published Listening with my Heart, a book of poems by New Zealand nurses. This book, which has already almost sold out, was part of our project to increase the visibility of nurses. Our own and collaborative projects in the area of improving health outcomes included supporting people living with and beyond cancer, working with the Women’s Health College to get menstrual management products funded for young women, and working with ACC and the Health Quality and Safety Committee to reduce surgical site infections. In terms of our strategic objective that nurses have the right to be skilled, we have continued with many professional development initiatives – for example, we held 184 professional forums attended by 5780 people throughout the year (6414 people if we also include medico legal forums). And particular effort was made to make these forums available in rural as well as main centres because nurses, midwives and health care workers everywhere have the right to be skilled – even if they don’t live in the main centres. To support nurses’ right to be part of a strong workforce we have continued to strengthen nursing workforce planning, sustainability and leadership through our journals and publications as well as through various awards. To be an effective as an organisation in strengthening the workforce (yet another strategic objective and nurses’ right) we made 27 submissions to government and related agencies on a range of nursing-related, professional, regulatory, employment and health issues. We have been vocal about the underemployment of graduate nurses to politicians and in the media about this and many other matters affecting the nursing workforce. The End of Life Choice Bill submission is just one example – in it we asked for guidelines to help nurses understand their rights and the legal and ethical consequences for them around end of life choices. a submission on the tax review which included the views of Te Rūnanga with a focus on reducing inequities; increasing excise tax on alcohol and tobacco and introducing a tax on sugar sweetened foods and beverages. In terms of membership, we grew to include 50,708 members this year, up from 48,444 last year. This was an increase of 4.7 percent that continues the rising trend in membership numbers over the last 10 years. We are especially pleased that our youth membership has grown by about 25 percent. More members means increased need for support, and at this point I would like to acknowledge the daily toils of MSC, our membership support centre. They work at the coalface to support our members’ right to wellbeing in both their practice and work environment. This year we had an average of 770 calls per week. That’s about 150 per day, or 17 for every hour our help line is open. And on top of that there are the 1000s of emailed requests for support. Our medico-legal team dealt with 282 new medico-legal cases this year involving 354 member which has helped ensure our members enjoy the right to good legal advice and fair representation when required. The advice given covered a wide range of areas from coroner’s cases, Nursing Council and Midwifery Council inquiries, Health and Disability Commissioner complaints, police inquiries and many more. In addition our medico-legal lawyers provided legal advice in relation to the constitution and privacy, and presented at various internal and external seminars, which we have already mentioned. In terms of employment law we dealt with 23 members’ cases over matters such as personal grievances, wages arrears, disputes and contracts. Our organisers and professional nurse advisors also carry a massive workload that needs to be acknowledged. Their activities included representing on matters relating to negotiation on collective agreements, responding to change management proposals, organising delegates and their structures, and participating in campaigns to support nurses’, midwives’ and care workers’ rights to fairness and equity. Most frequently the work of organisers and professional nurse advisors involved issues of pay, collective agreement interpretation and disciplinary issues. One campaign that I would particularly like to highlight was pay equity. As an organisation whose members are nearly all employed in historically female dominated occupations, we are committed to achieving 100 percent pay equity for all our members. This is, of course, another fundamental human right that nurses should enjoy. NZNO developed a pay equity strategy aimed at achieving a settlement in the DHB sector. As you are no doubt aware that was achieved. Altogether NZNO negotiated around 33 collective agreements during the year and pay equity was included in the negotiations around the DHB MECA. As part of this work NZNO launched the Health Needs Nursing campaign to raise public understanding of the nursing and midwifery crisis. We believe this was very successful. We have continued to be very active in the media and our credibility and effectiveness as an authority on health and nursing matters is increasing. We have issued at least one media release a week (sometimes many more) and we have received regular coverage in print, online and on radio and television. The announcement of the Caregivers Equal Pay settlement was made jointly with the PSA and E tū and such collaboration with other unions has meant that all groups gained media coverage and were able to “own the wins” together. Other themes we were active in the media about include proposed restructuring of senior nurse positions at DHBs, parking and safety concerns for staff travelling to and from work and workplace safety in mental health settings. There were 11 issues of our monthly magazine Kai Tiaki, and each was published with a particular theme. The magazine is well-read and distributed, with 46,500 copies being printed in March. Its Facebook page continues to grow with some stories reaching 41,000 readers or more. There is so much more going on within the organisation and many more activities and achievements I could tell you about, but perhaps this representative sample of how NZNO has worked to support the rights of nurses, midwives and care workers is sufficient for now. However, I would be remiss not to mention finances. Our total income for the year was 21.4m and we had an expenditure of 21.7m. However, after tax and adjustments we finished the year with a surplus of $182,419. This means that, financially, we remain in a very healthy position to continue working to support those rights. I would like to place on record my sincere appreciation of the work our staff have done on your behalf during the past year. 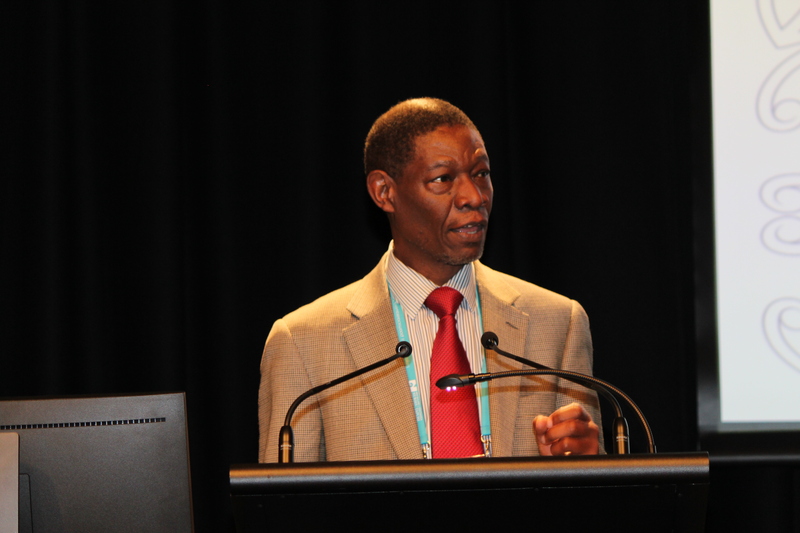 I thank you too as delegates and members for the many volunteer hours you have put into NZNO’s work in the last year. To the Board and Management thank you for supporting me to work with you and for providing leadership. No reira tēnā koutou, tēnā koutou, tēnā koutou, tēnā koutou katoa.